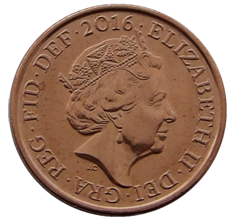 Raphael David Maklouf (born 10 December 1937) is a sculptor, best known for designing an effigy of Queen Elizabeth II used on the coins of many Commonwealth nations. Maklouf was born in Jerusalem, to a Jewish family; his father was Samuel Maklouf (1911–1990, born in Safed, then in Palestine); his mother was Leonie Maklouf (born in Saarbrücken, Germany, 1915). The family emigrated to the United Kingdom after the Second World War. Raphael Maklouf attended the Camberwell School of Art until 1958, afterwards becoming an academic lecturer for ten years. He was made an Associate of the Royal Society of British Sculptors in 1979. Two of his designs were selected for British coinage on 8 August 1984, one for general circulation and another for commemorative issues. They were used on the coins of several countries from 1985 to 1997. He is additionally known for his sculptural design representing the fifteen Stations of the Cross in Brentwood Cathedral. He is associated with Tower Mint Ltd, which privately produces medals, coins for collectors, and similar items. The Australian one dollar coin is the second-most-valuable circulation denomination coin of the Australian dollar after the two-dollar coin; there are also non-circulating legal-tender coins of higher denominations. 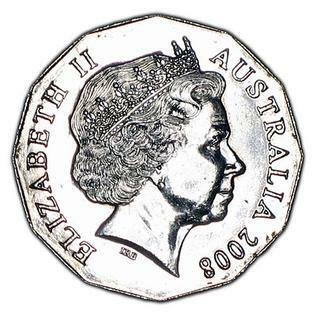 The cent, formally the one-cent coin, is the lowest-denomination coin of the Australian dollar. It was introduced on 14 February 1966 in the decimalisation of Australian currency and was withdrawn from circulation in 1992. It is still minted as a non-circulating coin. The Australian two-cent coin was introduced in 1966 and was the coin of the second-lowest denomination until it was withdrawn from circulation in 1992. It is still counted as legal tender, but is subject to some restrictions, and one-cent and two-cent coins are legal tender only up to the sum of 20 cents. The New Zealand twenty-cent coin is the second-lowest-denomination coin of the New Zealand dollar. The 20-cent coin was introduced when the New Zealand dollar was introduced on 10 July 1967, replacing the New Zealand florin coin. 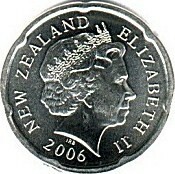 Its original reverse of a kiwi was changed in 1990 when the image was moved onto the one-dollar coin. 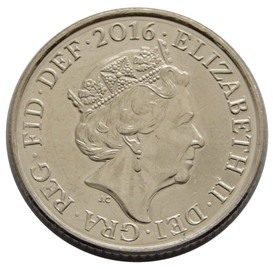 In 2006 its size was reduced and its edge altered to a Spanish flower as part of a revision of New Zealand's coins, which also saw its alloy become nickel-plated steel. The New Zealand one-dollar coin ($1) is a coin of the New Zealand dollar. The current circulating coin was introduced on 11 February 1991 to replace the existing $1 note. There had previously been occasional issues of commemorative "silver dollars", but they are rarely seen in circulation.